Southern-born Flapper? Trophy wife of famous writer? Jazz Age fashion icon? Wild and selfish woman-child who went off the deep end? 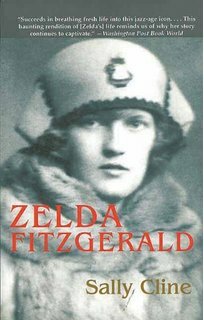 Zelda Fitzgerald has been remembered in all of these ways – but none are entirely correct, nor do they describe this unique woman who lived a very complex life in an ever-changing world. Zelda was a southern born flapper. No argument there. 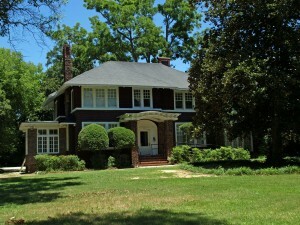 Zelda Sayre began her life on July 24, 1900 in Montgomery, Alabama. She grew up in a socially prominent (although financially upper middle class at best) family as the loved-by-everyone, charming, energetic, brave and highjinky youngest child. She was a skilled ballet dancer, a fearless flirt and an incomparable Orange Blossom sipping beauty. Young gentlemen filled her dance card, frat boys swore their devotion to her and aviators flew over her house just to be noticed by her. 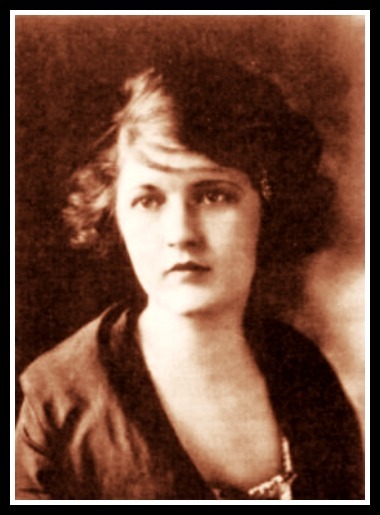 She became a Jazz Age icon and first wave flapper when she and her new husband–freshly published, (gasp!) 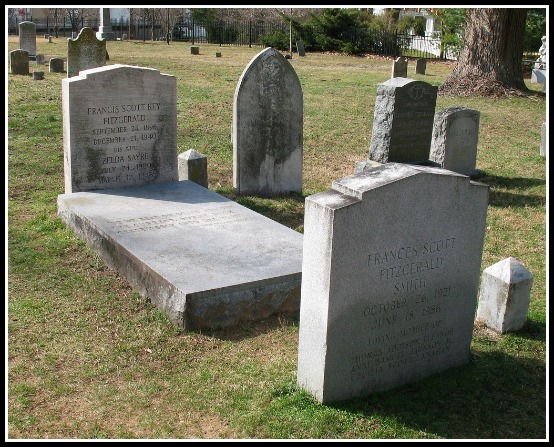 Yankee writer, Francis Scott Key Fitzgerald– arrived in New York City to a life of instant literary fame in 1920. She defined the flapper: bold, brave, reckless and fun loving young women who threw off stuffy formality along with their corsets. 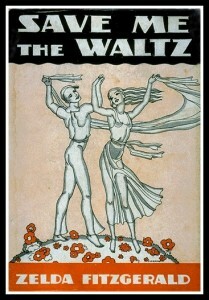 Zelda and Scott lived a very public life of opulence as the poster couple for the wild, monied and creative set in both the US and Europe. Wherever they went partying followed; whatever they did somehow was used as material for Scott’s novels, articles and short stories. 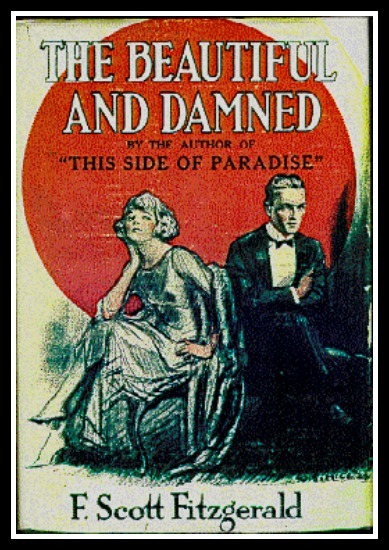 His second book, The Beautiful and the Damned, was so filled with their likenesses the publisher went ahead and marketed it with a couple that looked an awful lot like them on the cover. The whole Youth on a Wild Bender life sounds kind of dreamy…for a short time, but the pair made “never settling down” a lifestyle. 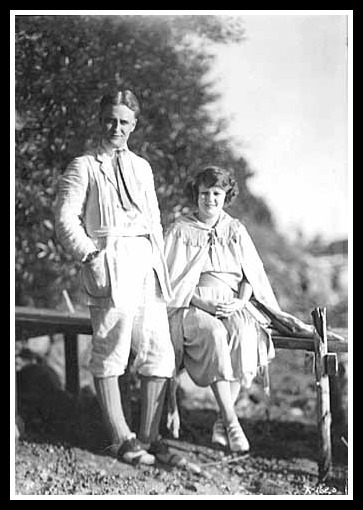 Even the birth of their only child, Frances Scott Fitzgerald (Scottie) didn’t slow them down. 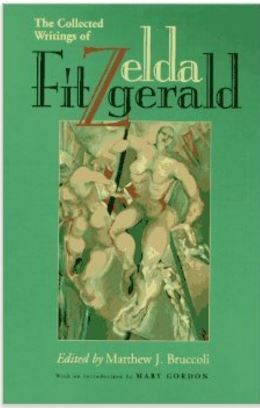 New York, Paris, the Riviera, Hollywood…they kept moving, Scott kept writing (and drinking), Zelda kept helping to critique (and write) his work and giving him fodder for the novels, short stories and articles that supported them. 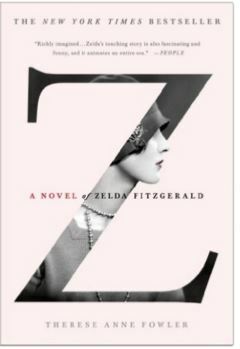 But the more Zelda lost herself into their marriage–into Scott’s literature–the more troubled she became. We give a disclaimer that we TRIED to achieve middle-ground between Team Scott (she was his muse but also his crazy wife who pulled him down) and Team Zelda (she was an emotionally abused wife whose mental condition had more to do with an alcoholic husband, exhaustion and unnecessary and harmful medical treatment than simply an existing mental illness). We probably failed to completely achieve middle-ground. Zelda tried to find and throw herself into creative outlets for herself ONLY–her OWN writing, ballet dancing, painting all of which she was very good at. These activities worked to help her express herself and to keep it together…until they didn’t. His behavior towards her– multiple affairs (she wasn’t exactly innocent here, either), alcohol induced dramas, panic from massive debts mounting, dismissing her art, her writing, her value, and blaming her for any family failures– only pushed her spiral downward. 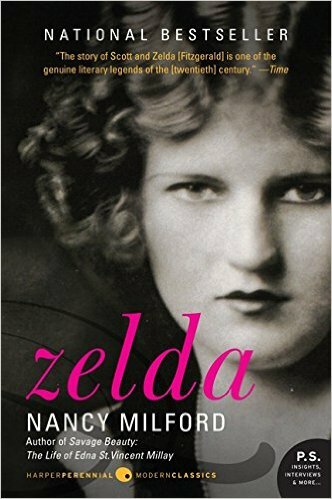 When Zelda was hospitalized in 1930 she was immediately diagnosed as schizophrenic (most likely incorrectly diagnosed) and moved (was forced?) into the next phase of her life: 18 years spent in and out of mental institutions. 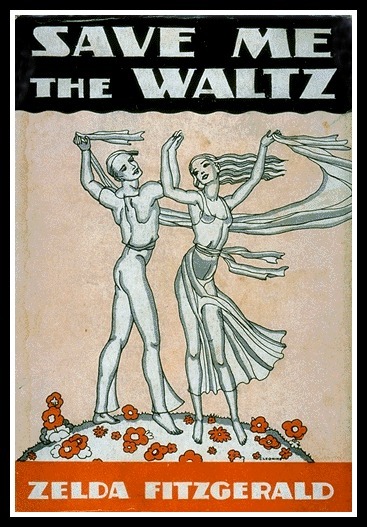 As part of her therapy she painted and wrote an autobiographical novel, Save Me the Waltz, that allowed her to tell her story through her lens, not Scott’s. She sent it to Scott’s publisher behind his back, but in the end he still managed to put his imprint on the book. We tell a lot more of Zelda’s story in the podcast, give anecdotes and opinions to fill in the black and white impression that many have of her very colorful life. Even in death, Scott got the last word. Maybe spending an hour listening to her story will let Zelda’s voice be heard. We dug up a hefty collection of links and materials that would make Zelda blush with pride. Probably. 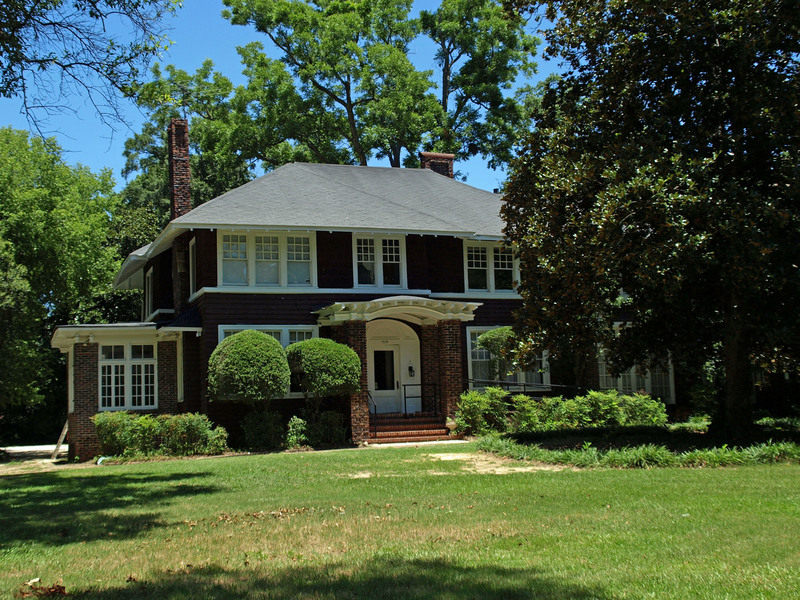 Fitzgerald Museum in Montgomery Alabama, housed in the last house the couple rented 1931-’32. Going would be your best bet, but clicking through the collections online is a good second place. Scott and Zelda website, by their family– it’s pretty. You really, really REALLY ought to go check out our Pinterest board for Zelda. We didn’t talk much about it but did touch on the 2011 Woody Allen film, Midnight in Paris. Here is a scene, you tell us if you think Alison Pill as Zelda is what you imagined her to be. Not a movie, but the Amazon Prime original, Z: The Beginning of Everything has one episode with Christina Ricci as Zelda available to stream for the low, low price of $0.00. We couldn’t help (when we lined-up with Team Zelda) but think back to Gaslight with Ingrid Bergman, the 1944 movie about a man who makes his wife believe that she is crazy. Do you find yourself on Team Zelda? We have a shirt for that. 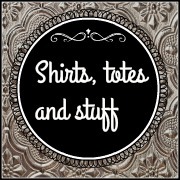 Check out our shop for all our Chick Gear. 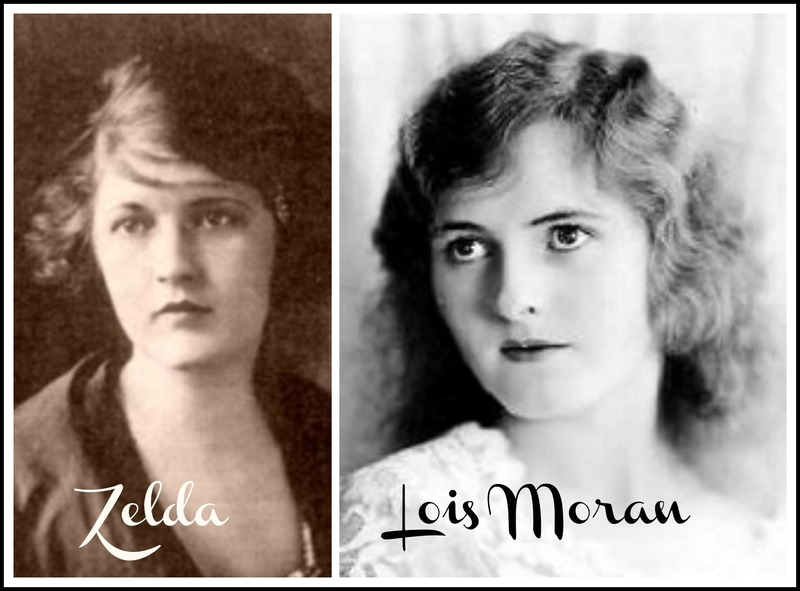 History Chicks Baby/Pet/Car Name Guide entry: Zelda. Read all about the name at Appellation Mountain. You guys all know to Snopes something before you share it, right? (It’s okay, we’ve all done it once or twice). Here is the story behind the List of Reasons for Admission to an Insane Asylum, early 1900s. If you are drawn to Zelda because of an interest in psychotherapy (as in learning about it, not necessarily undergoing it) (not that there is anything wrong with that) here is the handy dandy guide that Beckett mentioned comparing Jung and Freud.